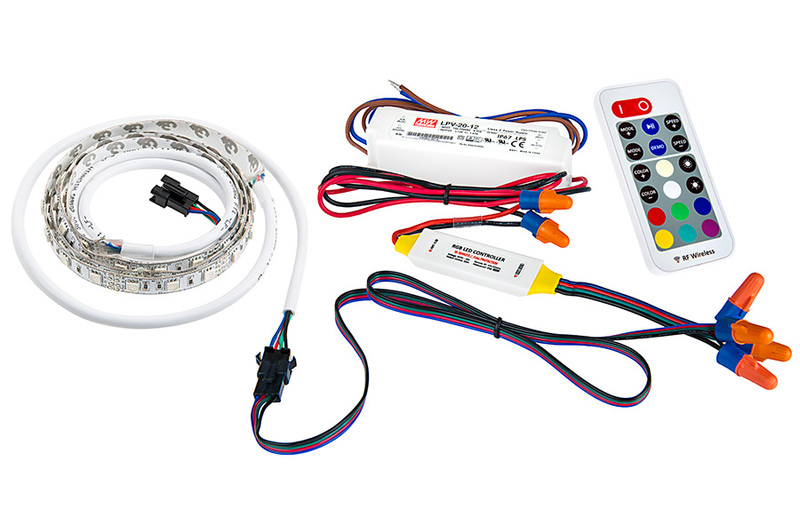 Mean Well LED Power Supply - LPV series 20~100W Single Output LED Power Supply - 12V DC: Shown Connected to RGB LED Strip, RGB LED Controller, LED Power Supply, and RGB Remote. 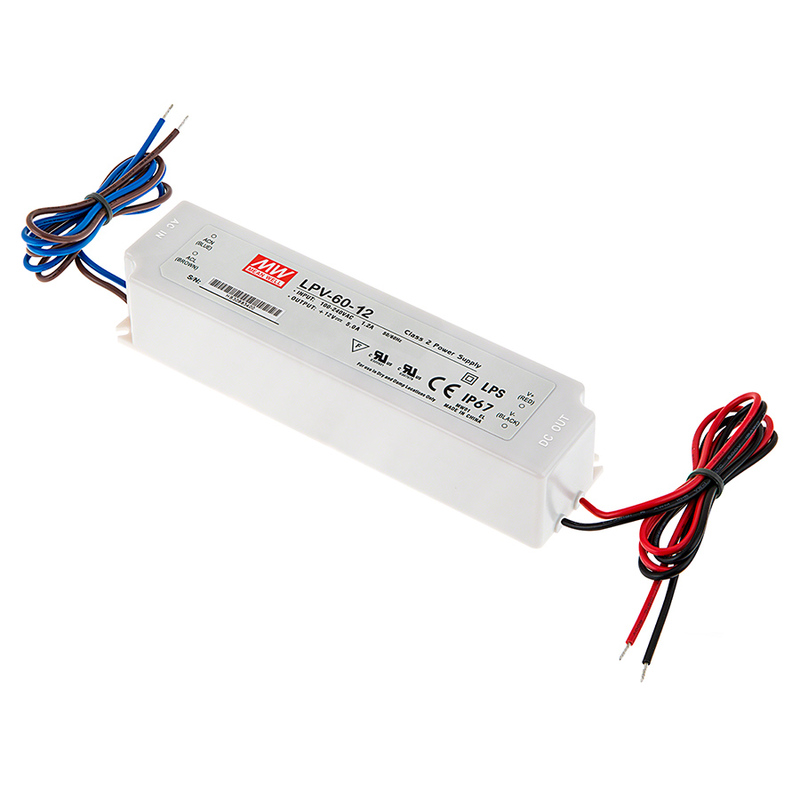 Mean Well LED Power Supply - LPV series 20~100W Single Output LED Power Supply - 12V DC tapped into existing screw base socket wires for kitchen stove and under cabinet lighting. Just one thing I didn't get - I purchased the kit that includes the ac power cord. The power supply has 2 leads - it's not grounded. But the ac cord that came with it is 3 prong (grounded). Am I missing something? 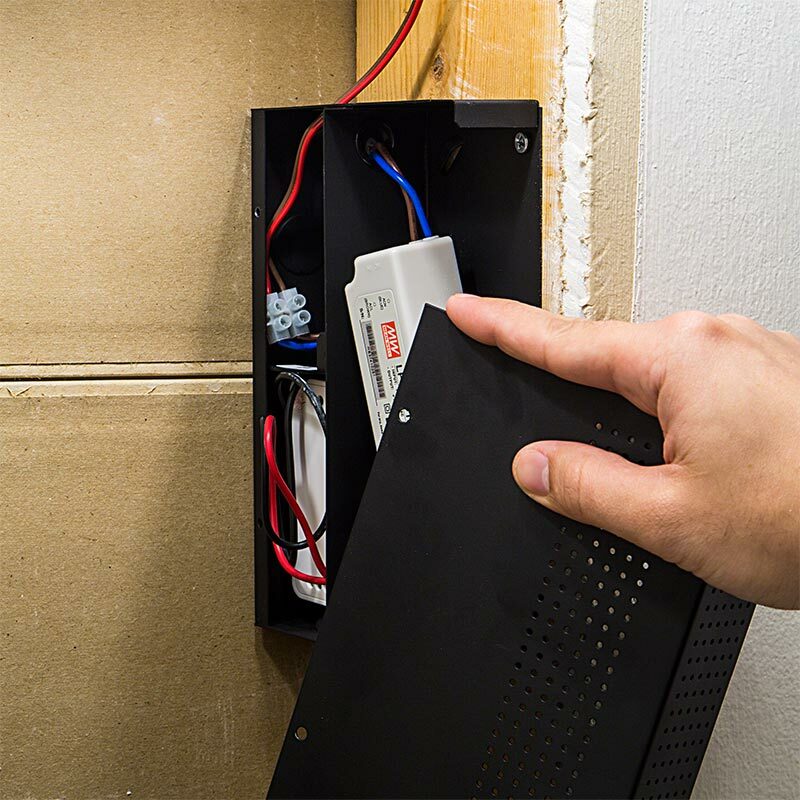 On the powercord, the green (ground) wire can either be connected to an earth ground or not used, as it is not required for the LPV series power supplies. Unlike some transformers products I have used, these are instant on. 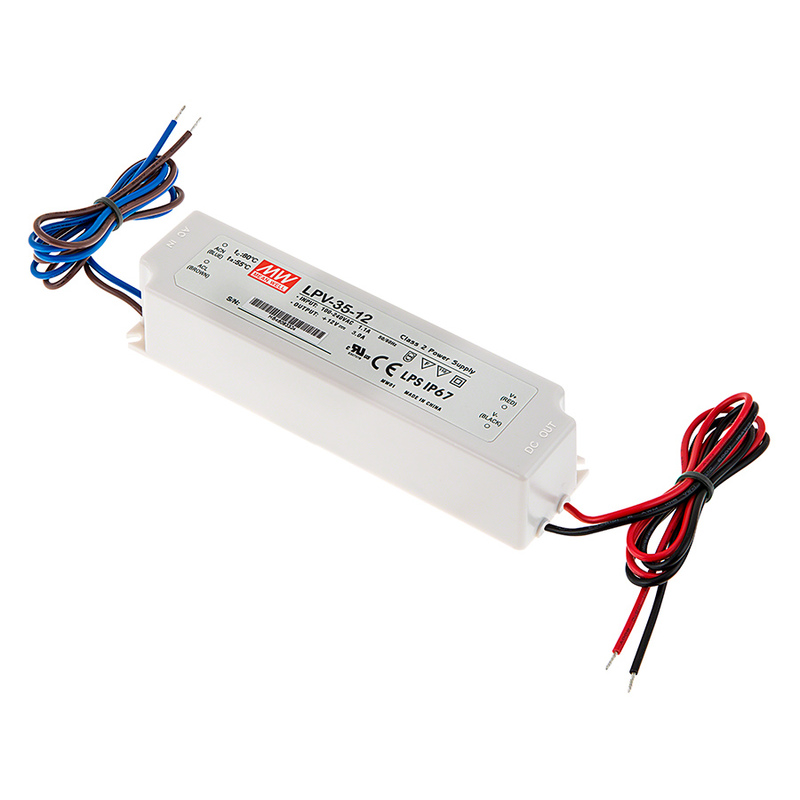 I have installed a 35W and a 60W unit. No issues and they run reasonably cool at close to their rated power - 30W and 50W. I design and build lamps ( among other things) using 12V SMD ribbon lighting. I have used these power sources in all of them. For my needs they could not be better. 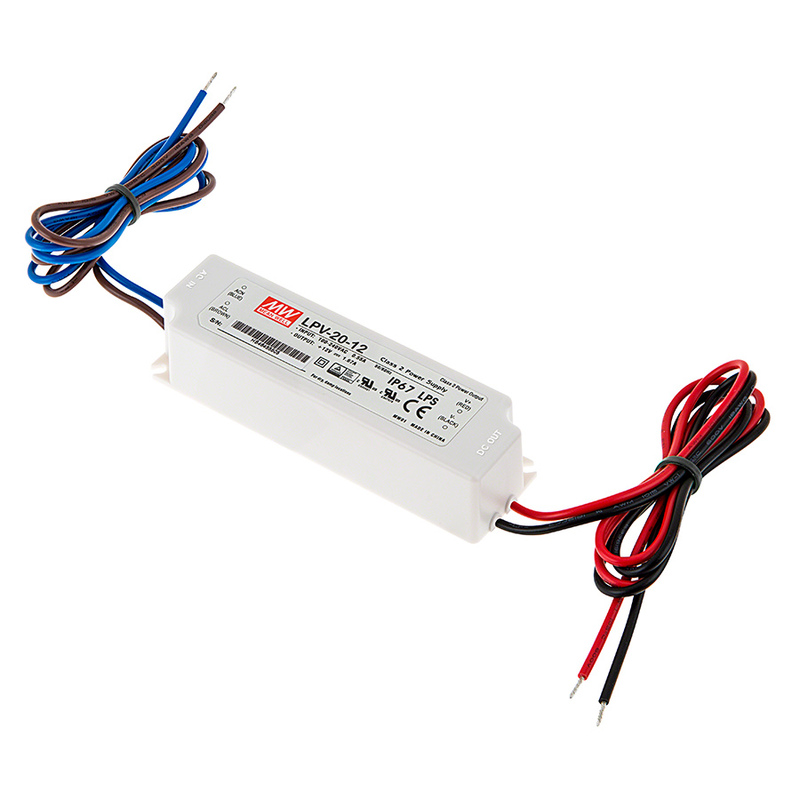 These power supplies have a very solid feel and work great. The only criticism I might offer is the wiring colors may confuse some. The line voltage wires are brown / blue which may confuse some in North America used to a black / white scheme. No big deal, just look it up on line. 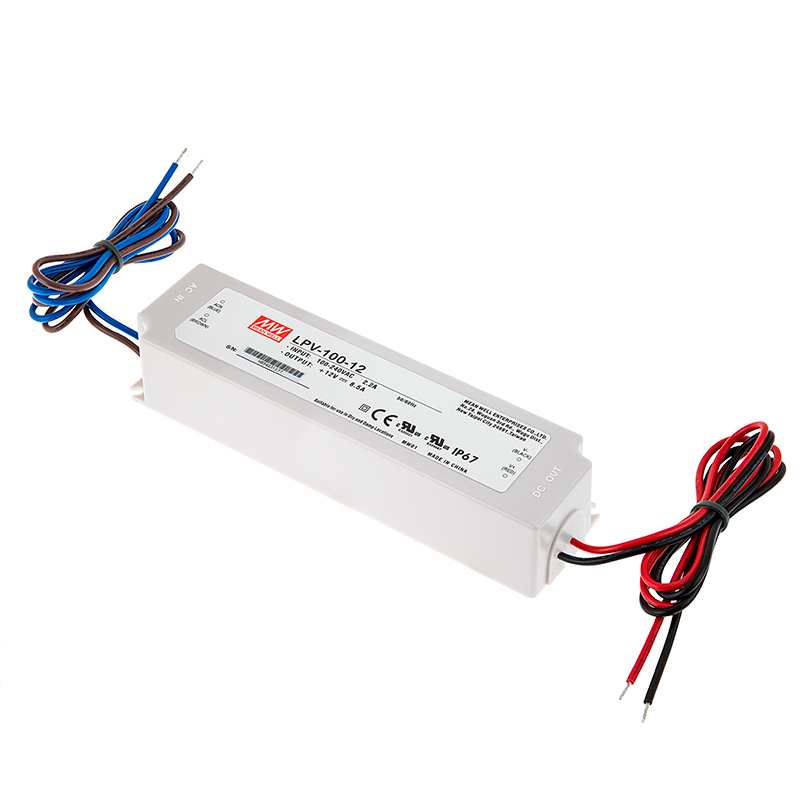 I used this power supply to convert a 2ft fluorescent wall light to LED using SuperBrightLED cut-to-length LED strip lighting. 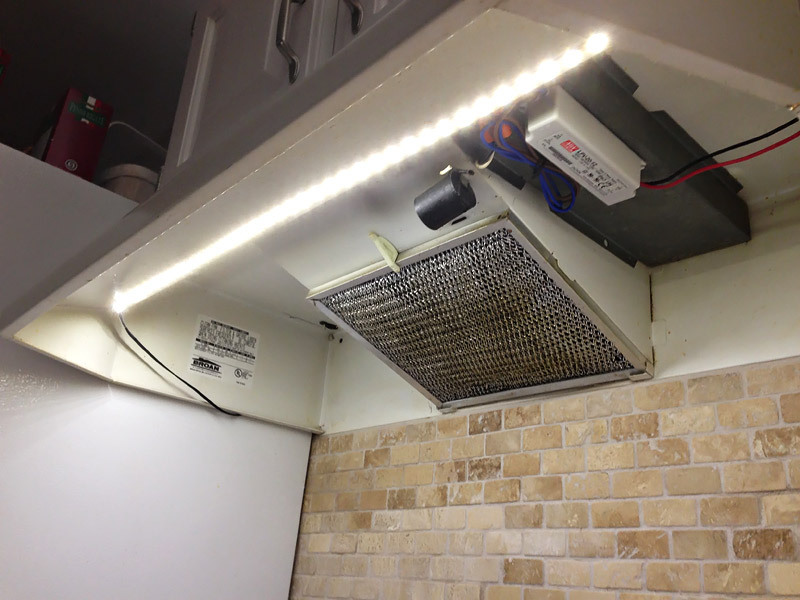 I gutted the ballast and end contacts out, cut the LED strip to length, soldered on the power supply, adhered the light strip, closed it up and ta-da, I converted a 40 watt fixture to under 10 watts.